Every day as I arrive to work I pass down a small street in the 8th arrondissement in central Paris and I pass by little restaurants and shops and offices. And it’s also where I discovered a new Parisian product that appeals so much to me I felt it absolutely necessary to share it with my readers on the blog and social media. It’s just such a great idea, I couldn’t keep it to myself! Le Cadeau Français is owned and run by entrepreneur Alfred de Louvencourt, and I was determined to meet him. Through the magic of social media, we were in touch in no time. A meeting was soon set and I found myself sitting down to a lovely French breakfast to discuss what is in these darling gift boxes and what thought went behind them. here are four different gift boxes that are aimed at four different types of people all with one thing in common : they love Paris, France! Opening them all and discovering the contents was purely delightful and I enjoyed discovering all the little surprises. (I love surprises). The box designed for someone like yours truly, aka moi, is La Parisienne, complete with champagne (oh oui!) an Eiffel Tower tea infuser (cute! ), macaron shaped guest soaps (but of course! ), rose scented hand cream (for fancy hands), and a sachet of lavender (just like in Provence). The box designed for someone like, Chéri, is filled with perfect little gifts for the gentleman on your gift list : A vine root wine cork (so authentic), a vintage style wall plaque about traditional wine making (we like French wine), a mini bottle of cognac (after dinner treat), an old school block of savon de marseille (because it’s THE best soap) and a book of photography by Yann Arthusr-Bertrand « Paris From Above ». Perfectly selected items. Then there is a box for a little girl called La Petite Parisienne complete with a coloring book of Paris (and not the baby kind), coloring pencils, a music box that plays « La Vie en Rose » (awwww!) an eiffel Tower cookie cutter (for when she wants to help make cookies, and a pink striped pochette (for those pencils no doubt!). Even as a grown woman, I would absolutely love having this box! And last but certainly not least there is the box for Le Petit Parisien, for someone like… Bébé Chéri?!? Perhaps in a couple years though, he’s still a bit young. He’d like the box and the tissue paper though for sure! This lovely little gift box is garnished with a toy Deux Chevaux (my dream car! ), Paris playing cards, (keeping monsieur busy), a 3D puzzle of the Arc de Triomphe (to make with dad!?! ), and a beautiful pocket edition of Le Petit Prince (for magical French philosophy). And the best part of these gift boxes? Everything in them is made in France! We love made in France don’t we! Well of course… It’s only absolutely logical all these souvenirs would be Made in France! Alfred and his team have done a beautiful job of creating a selection of gift boxes for the whole family, that can be offered to friends visiting from afar, as souvenirs to bring home from your trip to Paris, to your loved ones for the holidays, as birthday gifts, for any occasion really to someone who loves Paris. 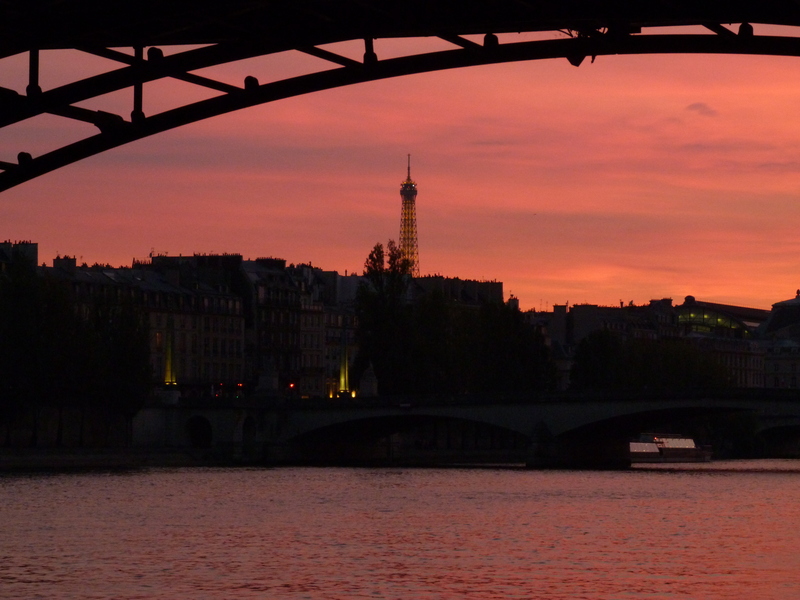 #ParisJeTaime #ParisMonAmour #LeCadeauFrançais n’est-ce pas! 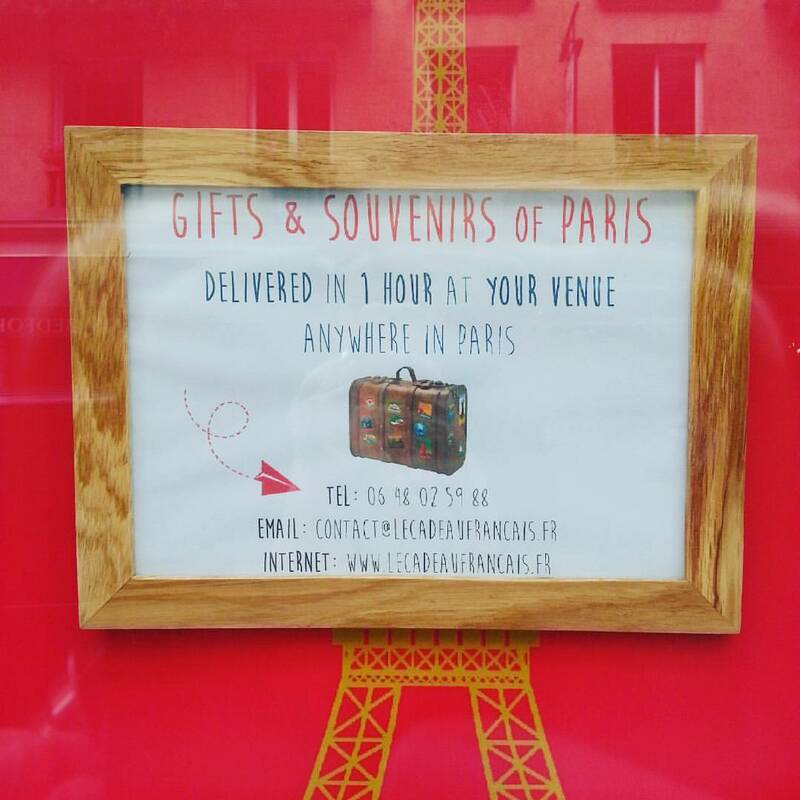 Here’s where you can find where to buy these darling Paris gift boxes, order some Parisian fun for the whole family. Instagram : @lecadeaufrancais tag them with #lecadeaufrancais. Oh! I love love love the little box with Petit Prince! Melted my heart! Thank you for your interest in our lovely French Gift Boxes. I am very happy and proud to tell you that you can now buy them directly on our E-Shop – http://www.lecadeaufrancais.fr/coffret – and have them dispatched worldwide, to anyone on you list ! Feel free to write us at contact@lecadeaufrancais.fr if you have further inquiry.